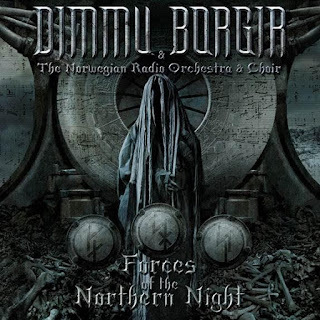 On April 28th, Norwegian symphonic black metal giants, DIMMU BORGIR, will unleash their highly anticipated double-DVD/BluRay ‘Forces Of The Northern Night’ upon mankind. On this brand new release you can witness two different live shows: The legendary concert in Oslo, showing DIMMU BORGIR on stage with the Norwegian Radio Orchestra and a bombastic choir, as well as the entire performance at Wacken Open Air with almost 100 musicians in action. These monumental live rituals mark the beginning of the band's epic return planned for 2017. This unique combination of elegance and extravagance has long seemed like a natural evolution for fans, but much time, arrangements and commitment were necessary to put this gigantic production into reality and fill the stage with 90 minutes of mind blowing sets per night. 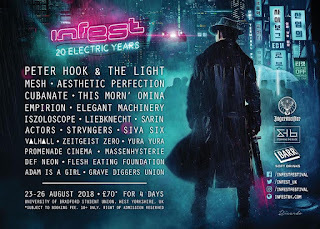 The shows guide the fans through classics from the band's discography - from the majestic finisher 'Mourning Palace' to the stomping manifesto 'Puritania' and the haunting 'Gateways'... Norway's DIMMU BORGIR know how to leave nothing behind but pure ashes.